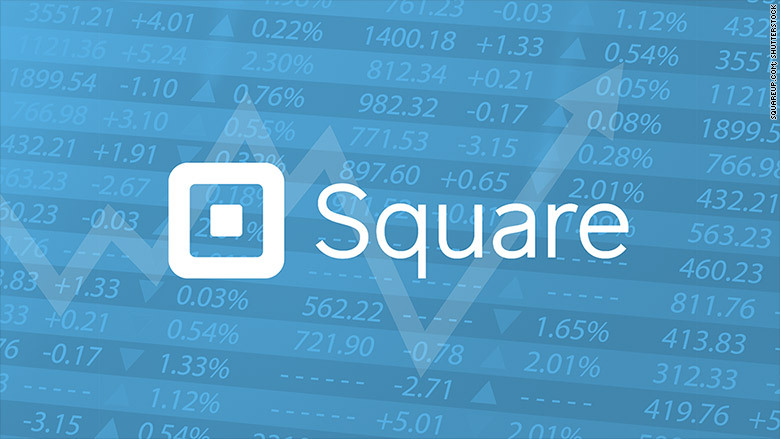 Square is shedding its startup status. The mobile payments company filed paperwork for an initial public offering on Wednesday. In its S-1, it said it is applying to be listed on the New York Stock Exchange under the "SQ" symbol. The company was founded by a team led by Jack Dorsey, who is CEO. Dorsey was also recently named as the CEO of Twitter (TWTR), and investors and analysts have expressed reservations about his ability to run both companies simultaneously. Square, specifically, requires strong leadership as it faces intense competition from the likes of Apple (AAPL) and Google (GOOG). Both tech giants have been pushing their own mobile payment technology to replace credit cards, by using an iPhone or Android device. Square is designed for use with traditional credit cards. Since the third quarter of 2012, Square had been Starbucks' exclusive payment processor, but the S-1 noted that this agreement was winding down and would not be renewed. While revenue from this partnership would cease to exist, the transaction costs would as well, and Square said it will "positively affect our gross overall profit." As a startup, Square has done extremely well by most measurements. The company has raised between $500 million and $600 million in the private market, according to data from PrivCo. It's valued at $6 billion, making it one of more than 140 unicorns, or privately held companies valued at $1 billion or more. But Square is exiting the private market at a tricky time. The outlook for tech initial public offerings is murky, at best. There have been just 17 tech IPOs this year, according to market research firm Renaissance Capital. That's the lowest, so far, since 2009. And tech IPOs -- including Etsy (ETSY) -- were among some of the worst performing in the second quarter of 2015. In a letter to potential investors, Dorsey said Square would continue to focus on making the financial system better. "I believe so much in the potential of this company to drive positive impact ... that over the past two years I have given over 15 million shares, or 20% of my own equity, back to both Square and the Start Small Foundation," he wrote in the S-1, although he didn't specify how those shares were split between the two. Start Small is a new organization that invests in artists, musicians and local businesses mainly in under-served parts of the world. "I have also committed to give 40 million more of my shares, an additional 10% of the company, to invest in this cause," Dorsey added. -- CNNMoney's Sara O'Brien contributed to this report.